Natosha wrote in to share how she and two friends have lost 200+ pounds combined and wrote a book to inspire women to lose weight. Check out their story. 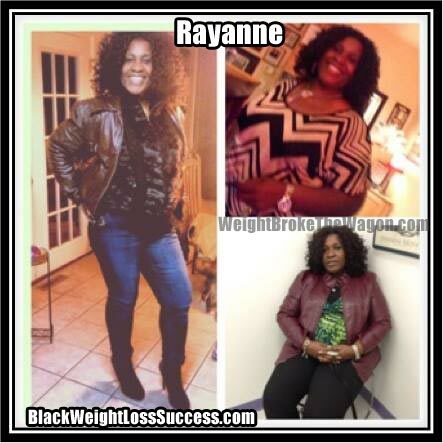 “Girlz Moving Weight is comprised of three African American women, each over the age of 40 years of age. We were motivated by aching joints, impending medical issues and overall, being tired of the way in which we walked, breathed and viewed ourselves. We chronicle our success in our new book, Weight Broke the Wagon . We see this weight loss journey as a movement to inspire other women who look just like us that they too can shed the unwanted weight. Today, our meals consist of fresh fruits and vegetables, and homemade and innovate sugar-free snacks and breads. We’ve virtually eliminated sugar and now drink plenty of water. We’re also working out walking, jogging and free-weights. We believe that weight is NOT so much about the weight we carry on our thighs but the weight we carry on our souls. We hope to hear from you about your successful journey too. 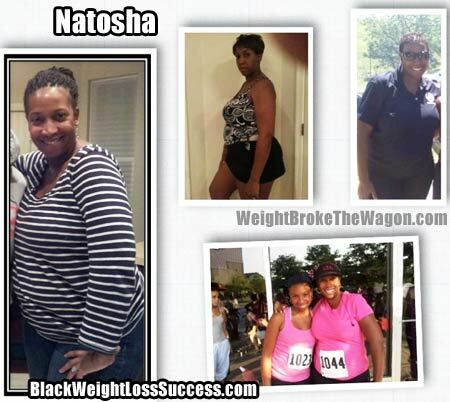 Natosha began at 244 pounds and it took her 4 months to shed the first 30 pounds. She prides herself on eating lean chicken and fish, egg whites, lean turkey bacon, plenty of water and she jogs with her 11 year old daughter and with Black Girls Run. She currently weighs 175lbs and counting. 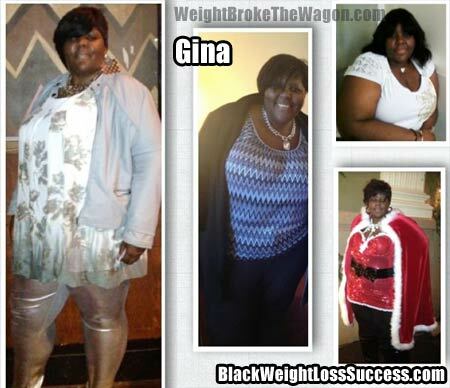 Gina began her weight loss journey weighing in at 322lbs. She prides herself on her of fresh fruits and vegetables with lots of water. She has shed over 60 pounds since April 2013. She power walks and plans to begin jogging one day. Each of the ladies partake in moderate exercise routines, daily. They have chronicled their weight loss journey in the book and provide tips and encourage on their Facebook page: Girlz Moving Weight. Congrats ladies!!! You all are a great inspiration! !